Blue mulch - good or bad? 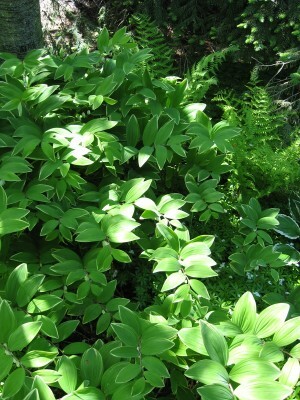 Home / Blog / Landscape Design Advice / Coming to a neighborhood near you? I took this picture in southern Indiana in late October, while on a trip to visit my son at college. I was very, very amused by this blue wood chip mulch. I couldn’t wait to post this on the Muddy Boots blog page, and I was writing sarcastic comments on scraps of paper as I drove. Passing motorists could see me snickering. If I were into Twitter, the thumbs would have been dangerously tweeting while driving. I wanted people to know how sophisticated my design sensibilities were. Fall became winter, and I never had the time to post the image. And I started having second thoughts. What are the rules, anyway? Aside for the possible environmental issues (even if the dye is benign, it can’t be better than no dye), what exactly is wrong with blue mulch? When it comes to moral rights and wrongs, we can pretty much agree, with some quibbles here and there. But aesthetic rights and wrongs are another matter. A rusty bathtub in the front yard, planted with flowers? How about a really cool old rusty bathtub? Maybe with a small globe arborvitae at one end that looks like a head, and sweet potato vines to look like arms draped over the side? Sedum that looks like toes at the other end? A potential client will occasionally ask about red-dyed mulch, and I have some ready quips about bringing in some golden arches or gas pumps. No definitive answers here today, folks. No Second Law of Thermodynamics or Heisenberg’s Uncertainty Principle to refer to. I’m not coming out and endorsing this, but it does look kind of cool. As a traditionalist who sticks to the earthy tones, I was kind of amused myself to learn about the existence of blue mulch. I thought the idea of it was hideously artificial for landscaping applications, even bordering on a total eyesore. 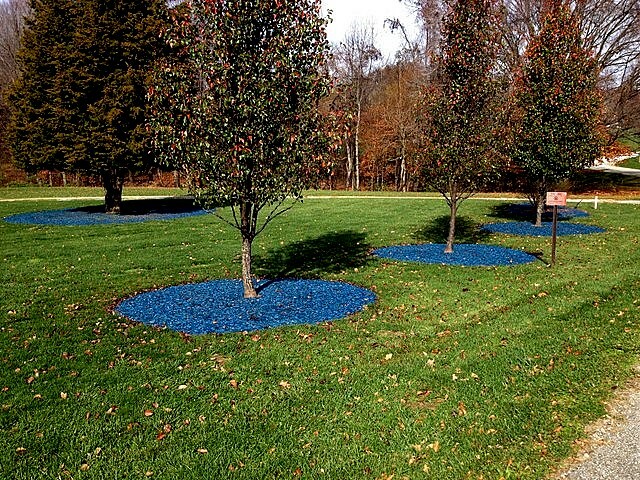 After a few minutes browsing through some google images, however, blue mulch is really growing on me. The idea that it can be used (coupled with rock borders) to create faux streams and pools is pretty damn cool. I’ll have to check availability around western PA next spring and maybe even dabble a little bit. Great post, enjoyed reading it.